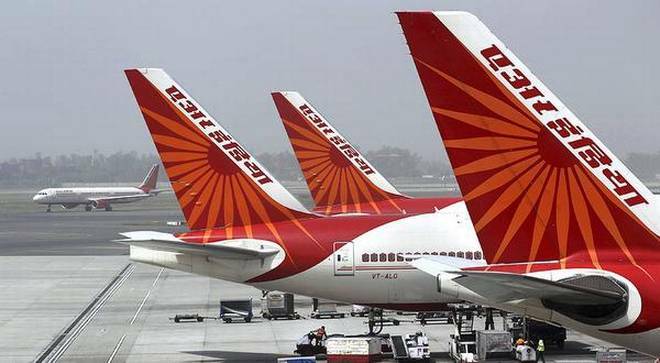 AMIDST reports of government's bid to revive or divest the Maharaja, some media reports on Sunday said the government is working out a strategic sale of 4 subsidiaries of loss-making Air India. The four subsidiaries companies include Airline Allied Services Ltd (AASL), Hotel Corporation of India (HCI), Air India Air Transport Service Ltd (AIATSL) and Air India Engineering Service Ltd (AIESL). hived off as part of the strategic sale plan including planning to sell the headquarter building of Air India in Delhi. Air India has been fighting for survival as on an average the Maharaja gets Rs 4,600-crore annual bailout package every year. Air India has a 17 per cent market share on international routes and 2,500 international routes slots per week across 43 countries. It serves a 12.4 per cent of the domestic passenger traffic and 16.55 per cent passenger traffic on international routes. Earlier, on June 22, Air India launched its all-new revamped services with 'Maharaja Direct' offering first-class and business-class options to give a great customer experience and boost to revenue. The all-new revamped service include westernized uniforms for cabin crew members, new upholstery, noise cancellation head phones and improved drinking water, delicious cuisines and refreshing option for beverages both alcoholic and non-alcoholic. The airline has around 27,000 staff of employees which had a debt worth of Rs 49,100 crores as of March 2017. The government had originally proposed to offload 76 per cent equity share capital of the national carrier as well as transfer the management control to private players. However, the offer failed to attract any bidder when the deadline for initial bids closed on May 31. Last year, the NDA government had collected over Rs 1.03 lakh crore from PSU disinvestment. This was aided by country's oldest gas producer ONGC's Rs 36,915 crore acquisition of government-owned fuel retailer HPCL.